Flags of Pride …That Unintended Consequence? Friends, in the midst of a call not accept the flying of the Confederate Flag, the Supreme Court of the United States called for our nation to accept the flying another flag – gay marriage. Anchored in prideful battle cry, both are transformative to our nation and plagued by unintended consequences. 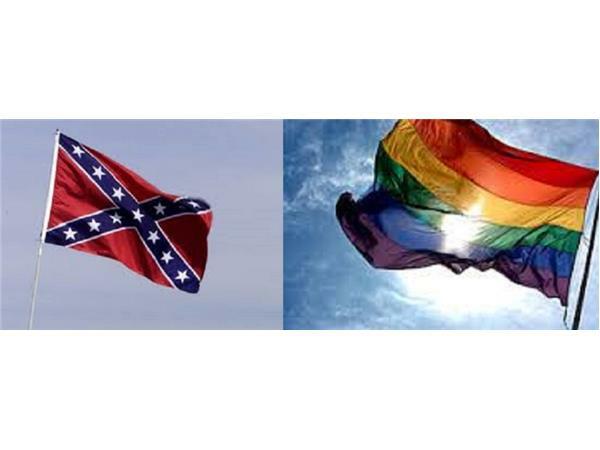 But the unintended consequence of one flag gave flight to the other... What is That Unintended Consequence? ... which is our question of the day. Join our host Eric J Powell on onCUE! Radio Sunday night @5pm CST live on The Word 100.7FM (http://saleminteractivemedia.com/ListenLive/Player/KWRDFM) or (http://www.thewordfm.com/).